I enjoyed Shannon Hale's The Goose Girl, a YA fairy tale retelling, and it prompted me (back in, what was this? 2007 or so... ?) to pick up Hale's Austenland as well. Which I also liked very well. And her Newbery award-winning Princess Academy! Lovely beyond belief. Just this weekend I saw the awesome that is the Austenland film. Go see it if you haven't already. 100% joy. Needless to say, anything Hale writes is instantly on my radar. 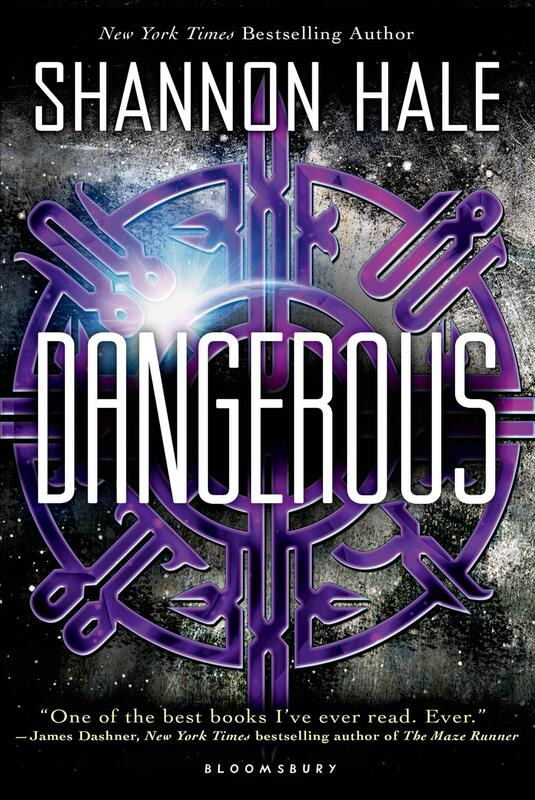 And her science fiction young adult novel Dangerous releases on April 1, 2014 from Bloomsbury USA Children’s (Macmillan). Wow. Wishlisted. She never thought her friends were capable of killing. She never thought she would be the one to stop them all. When Maisie Danger Brown holds the token in her hand, she’s not sure what to think. But when the searing pain begins, and it becomes clear that there’s no going back, Maisie is thrust into a battle she never imagined fighting. For her family, for the planet, for everything she knows. She had only wanted to get away from home for a summer, to see something new. Instead she’s stumbled into something much more terrifying, something that has killed her friends and just might kill her next. From award-winning New York Times bestselling author Shannon Hale comes a unique, powerful novel for teens that asks, How far would you go to save the ones you love? And how far would you go to save everyone else? Austenland is coming to a theater near me next weekend, I think. I'm glad to hear that it's good! Sounds good, and the cover is interesting too. Looks like a nice pick. Not what I would imagine from Shannon. Very cool. Um, this sounds kind of amazing? I've never read any Shannon Hale (I know, I know!) and may just have to start with this one. Great choice!